The old town hall on the Old Market Square dates back to 13th century. It is the landmark of the city and one of the most important secular buildings of North German Brick Gothic architecture. I was especially impressed by the huge show facade. 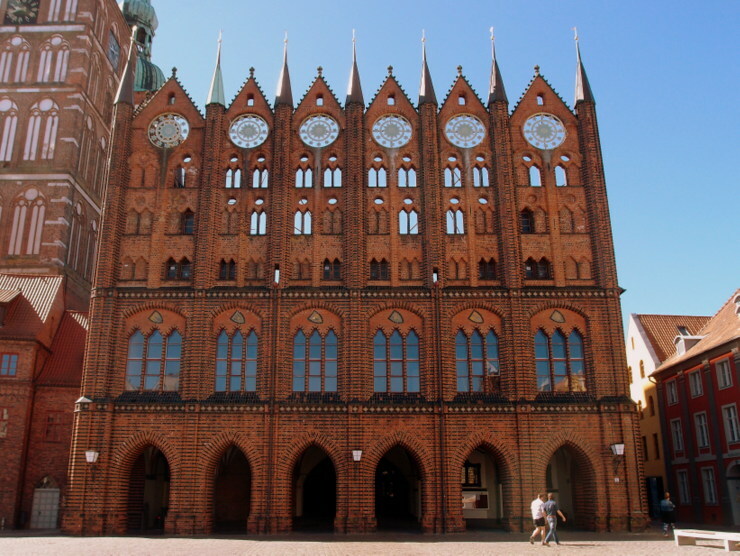 This entry was posted in City Halls, Gothic, Landmarks and tagged Germany, Mecklenburg-Vorpommern, Stralsund by Travelwriticus. Bookmark the permalink.